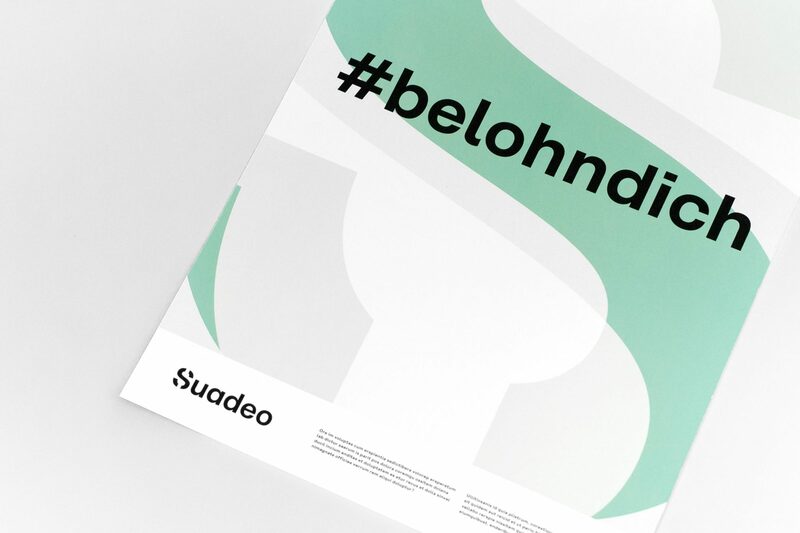 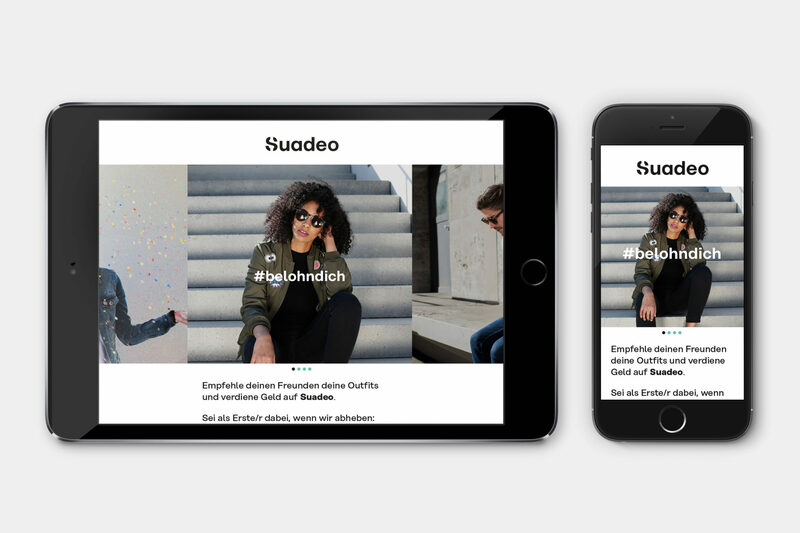 Suadeo	Visual identity for Suadeo, a fashion and lifestyle network which allows its users to earn money by giving product recommendations. 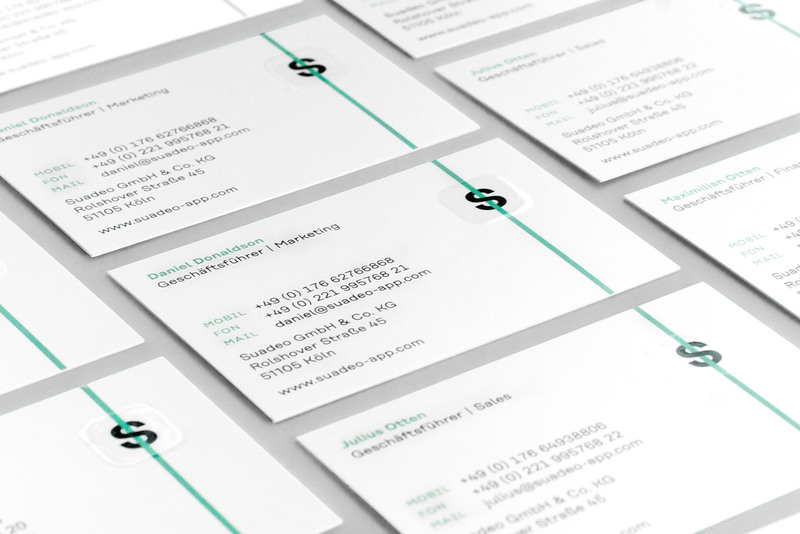 The letter »S« both works as a logo and as the main graphic element and quotes the dollar symbol. 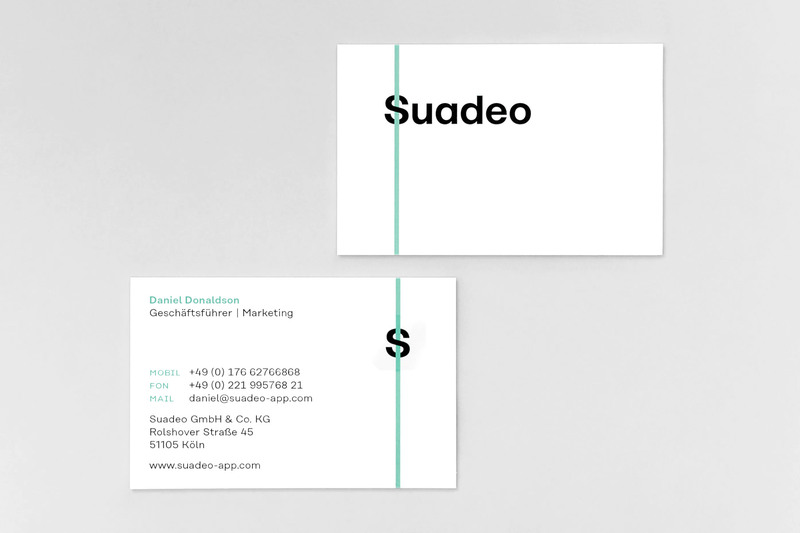 The app icon printed with raised spot gloss is a part of the business card and connects the analog and digital component.